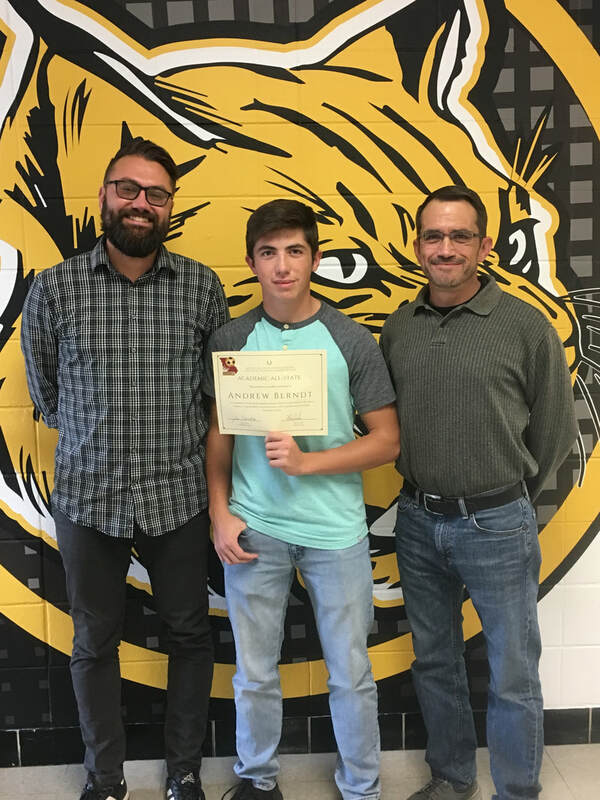 Cassville High School senior, Andrew Berndt, was voted to the Missouri State High School Soccer Coaches Association (MSHSSCA) 2018 Academic All-State team. This award is the highest academic honor for soccer players in the state of Missouri, with only 33 players selected each year. Andrew will be honored at the 2018 MSHSSCA Honors Banquet and Hall of Fame Induction on December 15th in Columbia. "I am extremely proud of Andrew and all of our seniors this year," stated CHS head soccer coach Jake Forste. "I nominated five seniors for this award, which illustrates what an accomplished group we have in the classroom overall. For Andrew to be selected for this honor shows what I have seen for three years; this young man puts his absolute best into everything he does. From National Honor Society, to vetting for the US Service Academies, to being a two-year captain of our team, Andrew is a leader among his peers and a role model for youth soccer players in our community. " Andrew is the son of Kurt Berndt and Lacy Berndt, both of Cassville. Pictured above, from left to right, CHS head coach Jake Forste, Andrew Berndt and father Kurt Berndt as Andrew accepts his nomination to the 2018 Academic All-State Team.